I’m Hiromi Kano and I have recently assumed the position of Chairman CEO of T.RAD Co., Ltd. 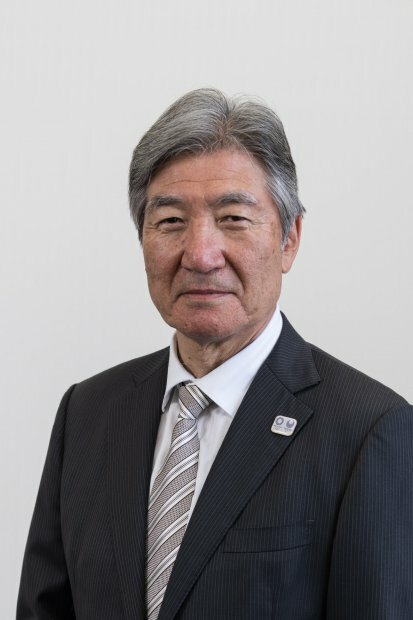 I have served as President and COO since 2008, and I will pass the baton on to Tomio Miyazaki this year, which is the first year of the term of 11th Mid-term Management Plan. It is said that this year would be the first year of once-in-a-century revolution in automobile industry. In other industries, the business environments surrounding us are also drastically changing, for example, the utilization of information technology (IT) and the significant advance of artificial intelligence (AI). As for the new mid-term management plan which will start under such circumstances, we regard it as an extremely important plan for us, which gives us an opportunity to dramatically grow. In order to respond to such time, I will make efforts together with the new President to further develop our company. The company’s keywords for this year are “promotion of IT utilization” and “integration of youthful energy and experienced knowledge.” Keeping these keywords in mind, all the employees will adopt a refreshed attitude and band together to become a company that will continue to be supported and trusted by our customers, shareholders, business partners, and local communities. I would greatly appreciate your further support and encouragement in the future. 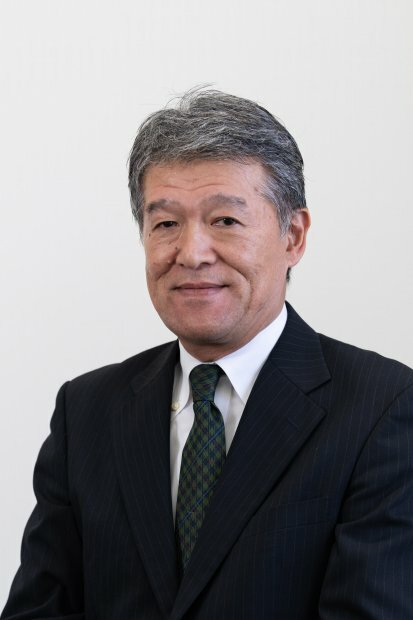 I’m Tomio Miyazaki and have recently assumed the position of President and COO of T.RAD Co., Ltd.
After graduating from a graduate school of science and engineering, I worked as an engineer for an automobile company for eight years and served as the top management in IT and service businesses for another eight years. At T.RAD Co., Ltd., I have experiences serving as an outside director for three years and as a full-time director responsible for business planning for one year. I have also been engaged in formulating the 11th Mid-term Management Plan or T.RAD-11, which is the new four-year plan that starts in FY 2018. I would like to run T.RAD by leveraging various perspectives based on my experience outside T.RAD along with other perspectives of a finished automobile manufacturer, service industry, IT industry, and a small and medium-sized enterprises (SMEs) / startup companies. 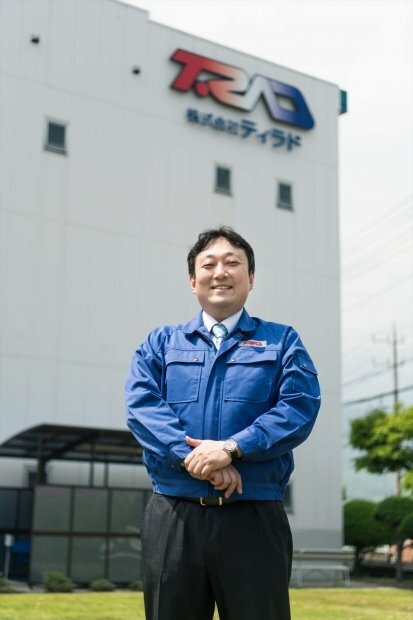 For 82 years since the foundation of T.RAD, we have been blessed with superb customers who lead the growing manufacturing industry in Japan and we have grown by designing, manufacturing, and selling products focusing on heat exchangers for automobiles, construction machinery, and air conditioners. Currently, automobile and construction machinery markets perform well, and we also recorded the highest sales and profits in FY 2017 in the company’s history. Although we face a hard time in European market because of the tricky introduction of new products into new customers, we made the business in the American market profitable, which used to be our challenge, and remained brisk in Chinese and Asian markets. In Japan, our efforts made for higher profitability/productivity such as activities to reduce loss due to spoiled work have begun to show favorable effects. The environment surrounding the manufacturing industry, however, is now facing a drastic change, such as the electrification of vehicles, entry of companies from different industries including IT industry into the automobile industry, and changes in values of things due to the emerging of sharing economy. In order to overcome such time when we cannot predict the future, we, as an independent manufacturer specialized for heat exchangers, aim to become the world’s best company in terms of flexible and quick responses to the changing world and customers’ needs. In addition, the whole company will band together to focus on our customers more than ever so as to become a company that will continue to be preferred by our customers. As a new business of the T.RAD Group on top of manufacturing and selling components of heat exchangers, I would like to aim to create a new business solution that provides SMEs and small businesses in the manufacturing industry with our original cloud-based applications leveraging IoT and AI technologies by integrating design/manufacturing technologies of heat exchangers that T.RAD has acquired over many years along with the development capabilities of cloud-based applications that Jinya Connect Co., Ltd. has cultivated, and also provides other heat exchanger manufacturers with manufacturing facilities / technologies / applications / human resources for heat exchangers in a form of an integrated solution. 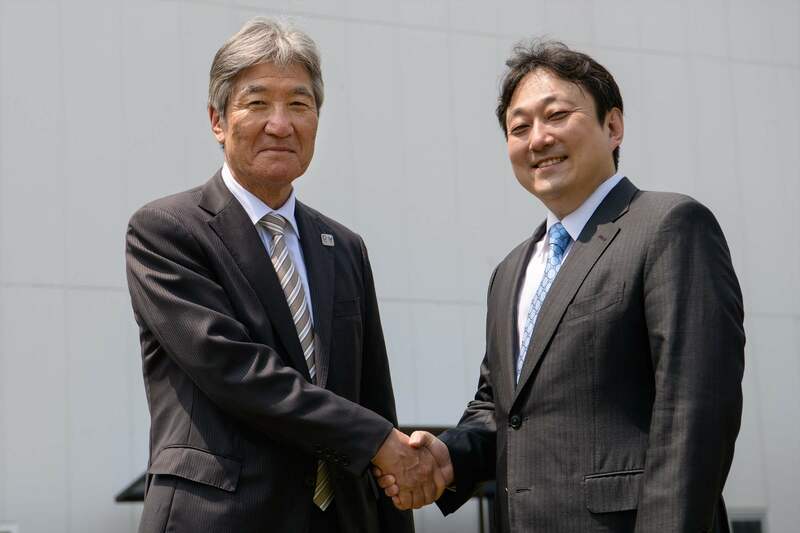 To this end, we established T.RAD Connect Co., Ltd. as a subsidiary in April 2018. I think what is important for us to survive this changing time is the implementation of 3C+S: Challenge Change Cooperation + Speed, which is articulated in T.RAD-11 as our corporate vision. I also think that the utilization of IT and enhancement of communication will be essential to realize 3C+S in true sense rather than use it just as a slogan. I want to cut tasks currently carried out by humans into half or less by fully leveraging IT technologies. I think our human resources should focus on bold efforts for creative works that cannot be handled by IT and AI technologies and concentrate on being agile. In order to create a corporate culture of cooperation, I think it is essential to enhance communication between employees and their supervisors and between departments. I would like to establish an environment where relationships of trust are built by enhancing such communication, all employees and employers are on the same page, and every employee proactively consider to act quickly and flexibly for customers and colleagues. In order for us to continue to grow for next 20 years, 50 years, and even 100 years, we will make efforts with the spirit of 5C+2S, where 2C+S: Co-creation Connect + Share are added to 3C+S. I think that it is important to co-create what can contribute to society and environment by connecting our customers, business partners, employees, other companies, and society, and sharing information and technologies. I would like to continue making the history and story of T.RAD for next 100 years together with our customers, shareholders, business partners, and local communities. 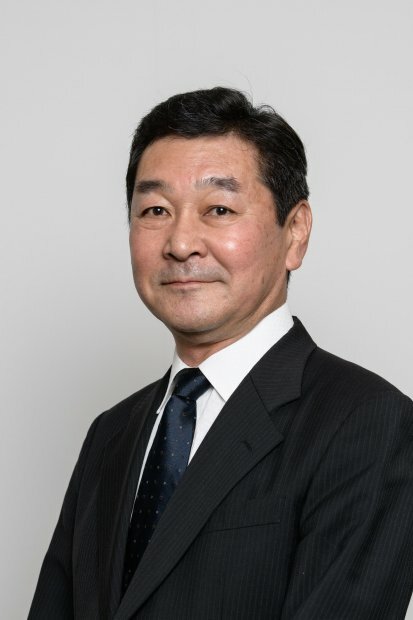 Appointed President and Representative Director of T.RAD Co., Ltd. Appointed Chairman and CEO of T.RAD Co.,Ltd. Joined Honda Motor Co., Ltd. Joined Wako Fundamental Technology Research Center of Honda R&D Co., Ltd. Appointed Representative Director of Jinya Co., Ltd. Founded Jinya Connect Co., Ltd. 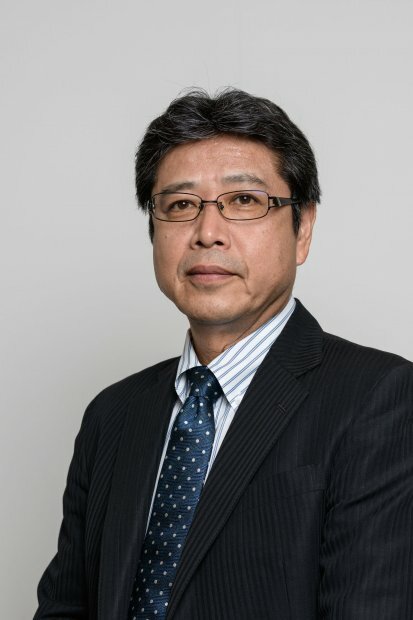 Appointed Representative Director of Jinya Connect Co., Ltd. Appointed Outside Director of T.RAD Co., Ltd. Appointed Director in charge of Business Planning Department of T.RAD Co., Ltd. Appointed President and COO of T.RAD Co., Ltd. Appointed General Manager of Hatano Works Production Dept. Appointed Executive Officer of T.RAD Co., Ltd. Appointed Managing Executive Officer of T.RAD Co., Ltd. Appointed Managing Director of T.RAD Co., Ltd. Supervised North America business, in charge of Sales, Technical and Quality Division of T.RAD Co.,Ltd. Appointed Senior Executive Officer of T.RAD Co., Ltd.
and Manager of Production Control Dept of T.RAD Co., Ltd.
and Manager of Quality Control Dept of T.RAD Co., Ltd. Appointed Director of T.RAD Co., Ltd. Supervised business operations in Asia / China, in charge of Purchasing Dept. and Global Administration Dept. President of T.RAD(Zhongshan) Co., Ltd.
President of T.RAD(Changshu) Co., Ltd. Appointed General Manager of T.RAD North America, Inc. Appointed Hatano Works General Manager of Production Dept. of T.RAD Co., Ltd. Appointed Nagoya Works General Manager of Production Dept. of T.RAD Co., Ltd. 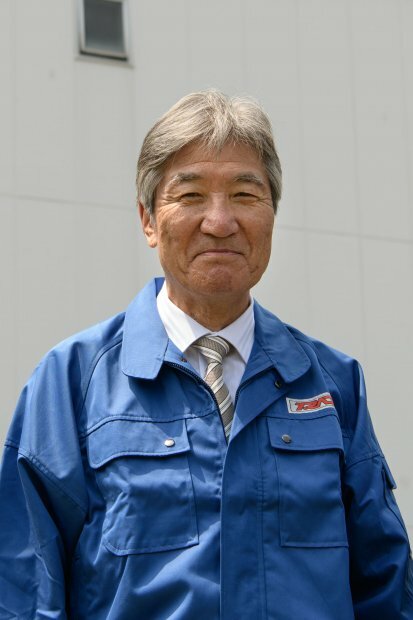 Appointed Hatano Works Plant Manager of T.RAD Co., Ltd.
General Manager of Production Dept. and Vice Plant Manager of Production Engineering Center of T.RAD Co., Ltd. Appointed Managing Director of T.RAD Co.,Ltd.